IN STOCK AND READY TO GO !!! 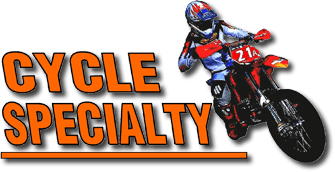 ASK ABOUT OUR EXTENSIVE LIST OF OPTIONS ! Fill an agile, state-of-the-art chassis with an engine delivering class-leading power and torque. Then dress it with top class components, ensuring that the lively little 4-stroke maintains its edge over the competition. Finished. First. And it’s easy on the stomach for amateur explorers, while still satisfying fame-hungry pros. Eat that, adversaries. 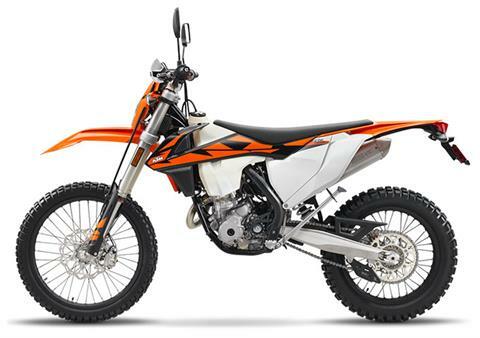 ENGINE: The light and compact KTM 250 EXC-F engine delivers class-leading torque and power over the entire rev range. The architecture with an optimized shaft configuration makes for excellent mass centralization and effortless ride-ability, at only 60.8 pounds. And that’s including the comfort of an E-starter. The power curve reaches for the sky over the entire length of the rev range, begging for another gear at 12,800rpm. 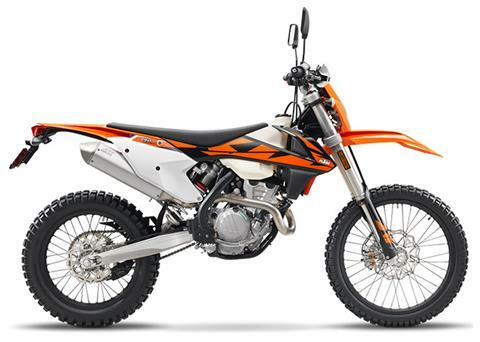 This makes the new KTM 250 EXC-F brilliantly suited to both amateur riders as to pros at the peak of their ability. Ready to race, dry - 235.9 lb. Rear suspension travel - 12.2 in.